Hillary Rodham Clinton is the first Secretary of State to declare the subjugation of women worldwide a serious threat to the U.S National security. Known as the Hillary Doctrine, her stance was made part of the 2010 Quadrennial Diplomatic and Development Review of U.S. foreign policy, formally committing America to the proposition that the empowerment of women is a stabilizing force for domestic and international peace. Valerie M. Hudson is professor and George H. W. Bush Chair at the Bush School of Governemnt and Public Service at Texas A&M University. Patricia Leidl is a Vancouver-based international communications advisor who splits her time between the Faculty of Journalism and the Department of Advertising and Public Relations at Michigan State University. "In this remarkably readable book, Valerie Hudson and Patricia Leidl make clear the direct link to enhanced stability in countries where women actively participate in public life. The landscapes surveyed are startingly broad, from developments in China, India, and Rwanda to in-depth case studies of Afghanistan, Guatemala, and Saudi Arabia. This volume is important for anyone who wants to think seriously about the shape and purpose of foreign policy. Secretary Clinton's declaration that women's subjugation threatens our national interests has been dismissed by many as mere idealism, yet it stems from a pragmatic approach and deep experience. Understanding what Hudson and Leidl reveal about the varying applications of the Hillary Doctrine strikes me as the start of wisdom"
"Women define security differently than do men. For 50 years, grass-roots global feminism has urged policymakers to see women, to see that women are the first and worst affected by violence, poverty, wars, displacement, and other catastrophes--yet the least and last to be consulted about solutions. Yet consciousness is finally trickling up, and the centrality of women to global security for all--set forth here with scholarly rigor by Hudson and Leidl--is a most welcome leap forward in legitimizing the crucial need for major policy re-visioning. Ignore this book at your peril." "The Hillary Doctrine may not make you comfortable, but it will change the way you think about national and international security. Through a combination of case studies, interviews and meticulous research including perhaps the most exhaustive compilation of data ever assembled on the subject, Hudson and Leidl make the case that the equality of women is not simply an issue of fairness. It is fundamental to peace and prosperity globally. The authors are never tendentious or polemical. This superbly written narrative is understated if anything. The carefully assembled facts and the often searing voices of women themselves tell a compelling story. Hudson and Leidl follow a concise historical treatment of women's rights with illuminating case studies, setting the stage for focused policy recommendations. Having established that the security of women and the security of states are closely linked, the authors argue for an expansion of the Hillary Doctrine as U.S. national policy to an international Right to Protect Women. This book is required reading for policy makers and implementers as well as anyone concerned about where we are going as a nation and a world." 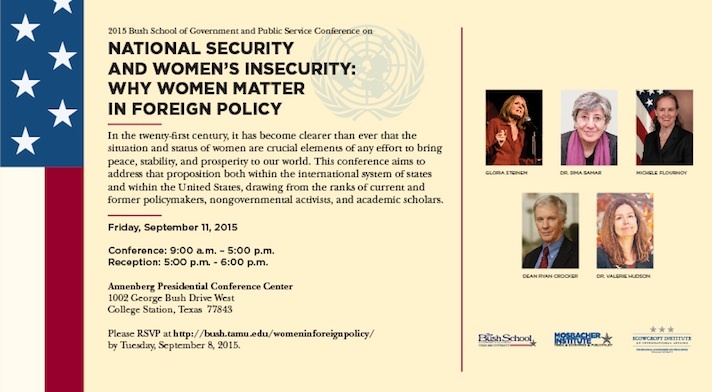 "How has the exclusion of the female half of this country damaged U.S. foreign policy? Let me count the ways -- from ignoring a North Vietnamese peace initiative because it was headed by a woman to excluding the violence against females that is the normalizer of all violence. This country is fighting poisonous growths, yet leaving their roots intact. From now on, no debate about national or global policy can proceed without reading The Hillary Doctrine by Valerie Hudson and Patricia Leidl. It is the first book about high level efforts to create a foreign policy as if women mattered." "Blending history, fieldwork, theory, and policy analysis while incorporating perspectives from officials and activists on the front lines of implementation, this book is the first to thoroughly investigate the Hillary Doctrine in principle and practice. Does the insecurity of women make nations less secure? How has the doctrine changed the foreign policy of the United States and altered its relationship with other countries such as China and Saudi Arabia? With studies focusing on Guatemala, Afghanistan, and Yemen, this invaluable policy text closes the gap between rhetoric and reality, confronting head-on what the future of fighting such an entrenched enemy entails. The research reports directly on the work being done by U.S. government agencies, including the Office of Global Women's Issues, established by Clinton during her tenure at the State Department, and explores the complexity and pitfalls of attempting to improve the lives of women while safeguarding the national interest." "A comprehensive overview of how women’s rights have become better accepted as a part of US foreign policy. . . . As the first book-length study of the Hillary Doctrine this is a valuable and energetic start." "The Hillary Doctrine is a painstaking examination of Clinton’s efforts to advance the status of women during her tenure as secretary of state. . . . [Hudson & Leidl] make the case that advancing the status of women will require giving the issue a permanent place on the U.S. foreign policy agenda, one that will long outlast Clinton." Click the banner below to learn more! April 23 2015 Dr. Valerie Hudson speaks at the Women and Public Policy Program of Harvard University.